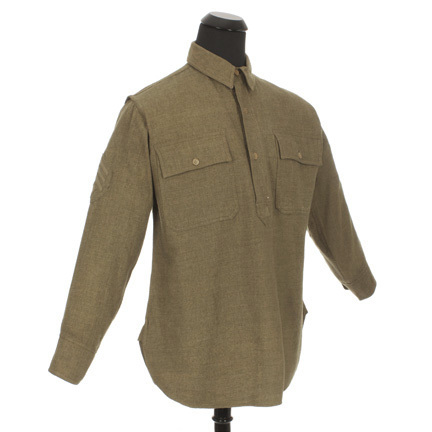 This military shirt was worn by the character, "Sergeant 'Big Mike' Wynn," portrayed by the actor Alan Hale Sr., in the 1940 war film, "The Fighting 69th." 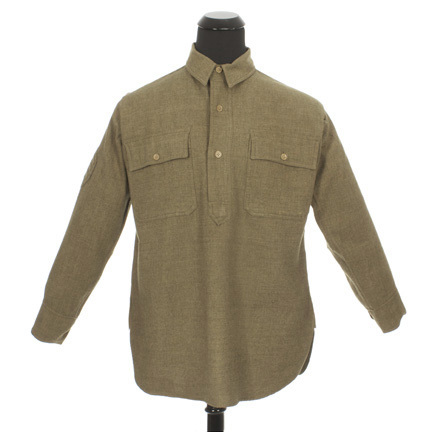 The long sleeve shirt with flap pockets on the breast is constructed of heavy O.D. 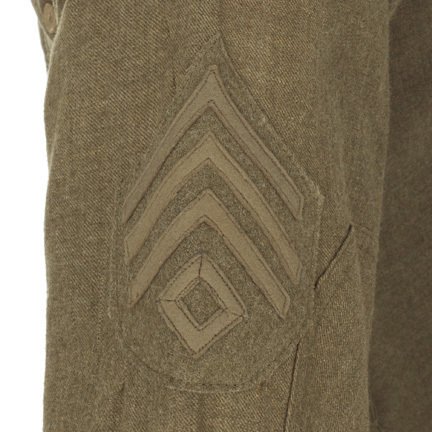 green military issue wool and has insignia on the sleeves as seen in the film. 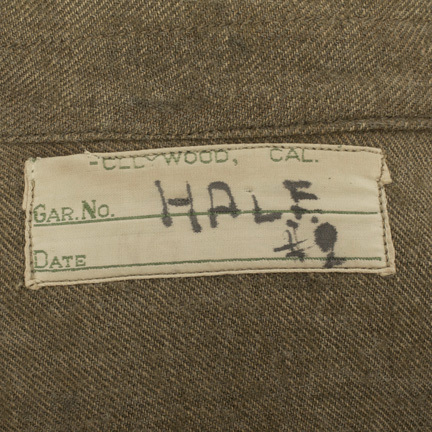 The interior of the garment has the original costume house label sewn inside the collar with â€œHale #9â€� handwritten in slightly faded black ink. 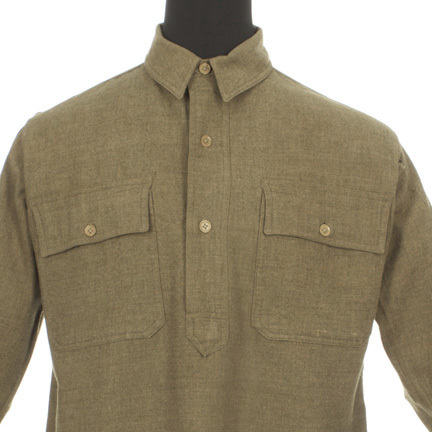 Mr. Hale wore the shirt in numerous scenes throughout the film and can also be seen in several promotional stills from the production. 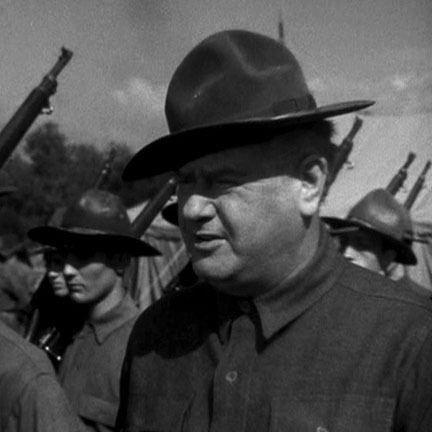 â€œThe Fighting 69th,â€� starring James Cagney, Pat Oâ€™Brien, and George Brent, is based on the actual exploits of New York Cityâ€™s 69th Infantry Regiment during the First World War. 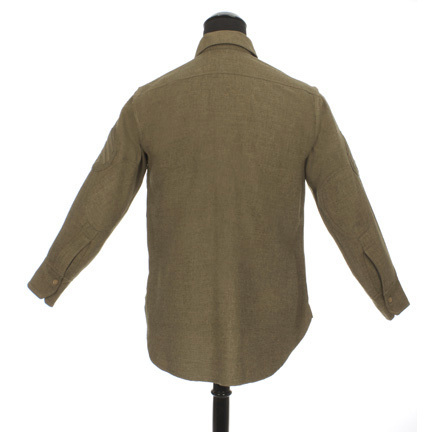 The shirt is in good vintage screen worn condition and is accompanied by a certificate of authenticity from the costume house. Presented by The Golden Closet, your premier source for iconic screen used wardrobe, props, and music entertainment memorabilia.